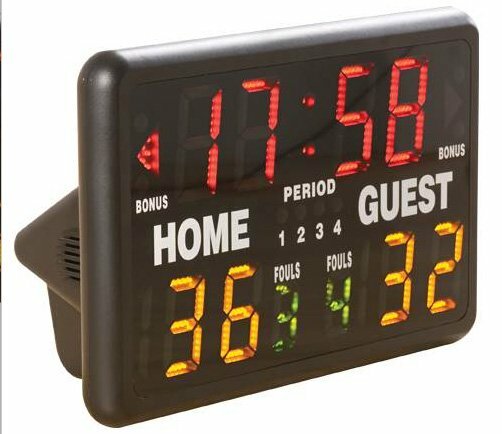 Keep track of the score and time during competitive or recreational games with the Indoor Tabletop Electronic Scoreboard. 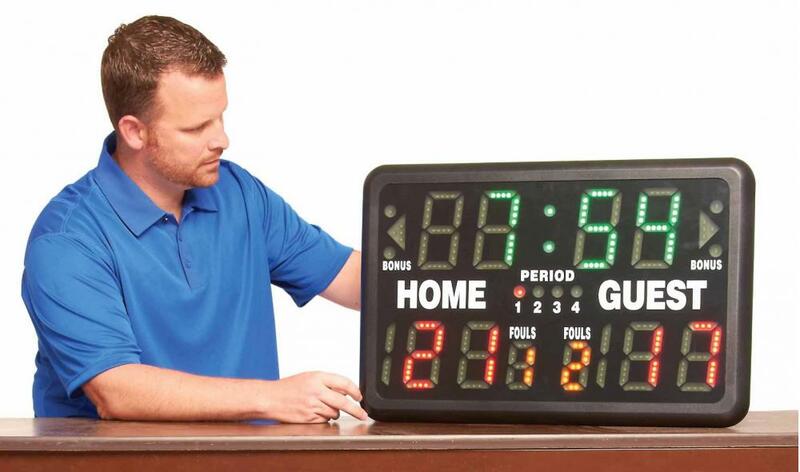 When time is winding down on a close game, players and coaches need to know the situation at hand, including whether to foul or not, how many timeouts remain and the score, and this scoreboard's face provides key information at a glance. 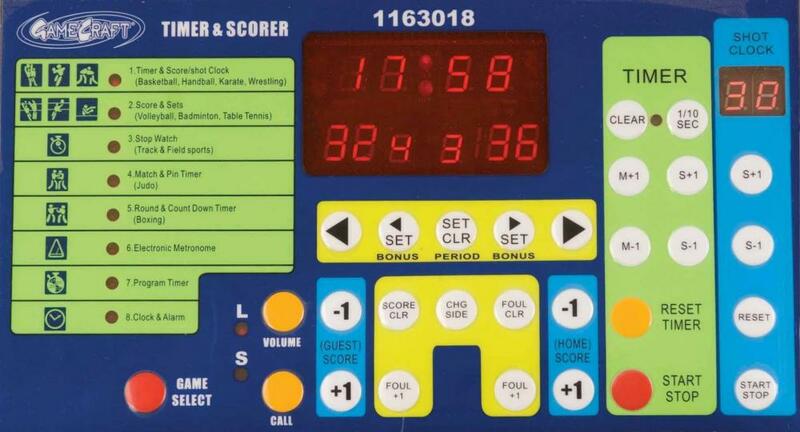 Officials and scorekeepers can easily start and stop the clock and add points to the score with the wireless remote. Dimensions: 16"H x 24"W x 10"D - 13 lbs. To view additional accessories for this scoreboard click here.